More than a decade has passed since the last comprehensive survey of U.S. journalists was carried out in 2002 by scholars at Indiana University—and the news and the journalists who produce it have undergone dramatic changes and challenges. 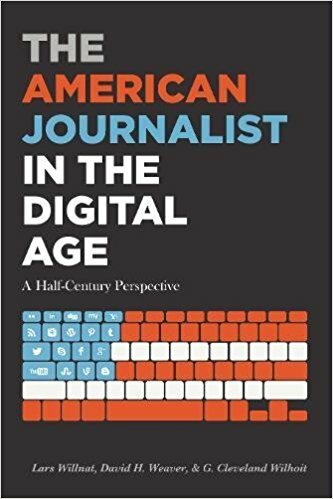 The American Journalist in the Digital Age is based on interviews with a national probability sample of nearly 1,100 U.S. journalists in the fall of 2013 to document the tremendous changes that have occurred in U.S. journalism in the past decade, many of them due to the rise of new communication technologies and social media. This survey of journalists updates the findings from previous studies and asks new questions about the impact of new technologies and social media in the newsroom, and it includes more nontraditional online journalists than the previous studies. David H. Weaver is professor and research professor of journalism at Indiana University, and an IAMCR member. See the publisher's description of the book.